Mortgage Lifter Tomato | Henry Field's Seed & Nursery Co. 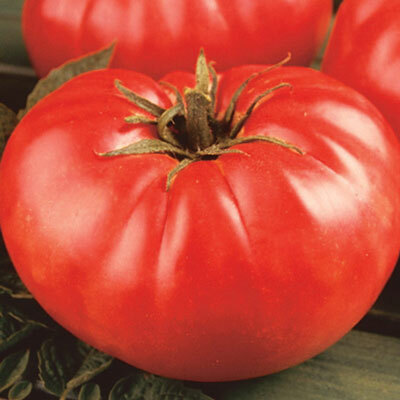 Originally developed in the 1930's by a gardener who successfully grew and sold enough of this tomato variety to pay off his mortgage! Mortgage Lifter is a huge heirloom beefsteak that puts out heavy yields of low-acid, pink fruits that are a constant taste test winner. Soil Requirements: Deep, well-drained rich loam soil. Size: Large, 16 - 24 oz. fruit.